Today I wanted to share a quick look at May's #paperhaul box which was filled with another set of beautiful watercolour style prints, this time featuring flamingoes! In contrast to last month's designs the bold pink flamingoes and leafy green prints pop against plain white backgrounds but the collection is still perfect for the time of year with it's tropical vibes. Containing two postcards, a notepad, notebook and three notecards as usual there's a good selection of items different occasions. 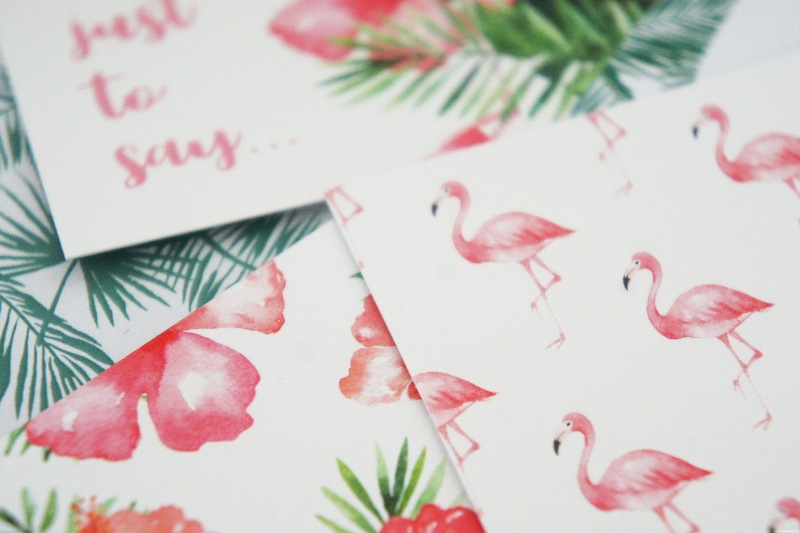 My top picks this month would have to be the notepad - perfect for adding a splash of colour to your desk - and the flamingo print notecard (pictured below). If you missed my post on April's #paperhaul box you can find it here. So beautiful, as per usual! Love the flamingos!